iOS 9.3.4 jailbreak has now gotten a video demo dubbed OverSky (aka Flying) By Team OS showing Cydia running on an iPhone. Here’s everything you need to know about this. Apple may have released iOS 9.3.4 earlier this month as a rushed through security fix update to patch vulnerabilities used in Pangu jailbreak for iOS 9.3.3, but it seems that it hasn’t taken long for the security research community to liberate the released firmware. A Senior Security Researcher at Chinese online and retail giant Alibaba has followed in the footsteps of Italian developer Luca Tedesco by posting a video demonstration of Cydia being installed on a jailbroken iOS 9.3.4 device. It all started when Luca Tedesco, who has long been a prominent figurehead in the jailbreak community, but who has now been making more of a name for himself from a security research aspect in recent months, publicly shared a photograph of Cydia running on an iOS 9.3.4 device earlier this month, becoming the first person to be known to have successfully jailbroken Apple’s iOS 9.3.4 firmware. Seems like the second person to have achieved the same feat is China’s Min Zheng. It’s probably worth noting that the jailbreak fans should refrain from elevating those excitement levels until more is known about the methods used, and if they are ever likely to be turned into a usable solution that could ultimately be released to the public as most of these researchers tend to keep such exploits for their private use only. Also given the fact that Apple recently announced a bug bounty program encouraging researchers and hackers to report vulnerabilities directly to them with the potential of an up to $200,000 reward, there exists the very real potential that this jailbreak is more for research purposes and that the exploit could potentially fall into Apple’s hands in return for a cash reward. Even with that knowledge, there still exists a slim possibility that the intentions are genuine and that a working iOS 9.3.4 jailbreak could eventually be released to the public prior to iOS 10 going live next month. That is, however, a very slim possibility. 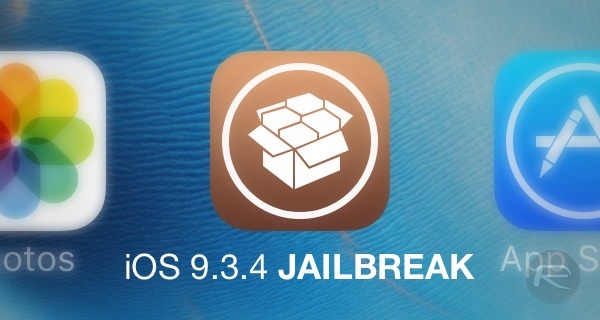 Until we know more, nothing has specifically changed in the jailbreak landscape, meaning that iOS 9.3.3 is still the latest firmware that has a publicly available jailbreak solution. iPhone, iPad and iPod touch owners are still advised to stay away from iOS 9.3.4 if they value their ability to jailbreak their device at will. As always, and when this progresses or develops, we will be sure to bring the information right to you. For now, check out the jailbreak demo in the video embedded below. Luca Tedesco is the biggest tease in the jailbreak scene. I bet he’s going for the 200k Apple reward. Why dont they just release the jailbreaks to the community instead of just posting videos of them. Theres no actual proof of these videos been legit, because anyone who can develop ios apps and have some editing skills, could easily make these videos look as real as they wanted to. If these Videos are legit and they can jailbreak the latest ios firmware, then i for one would send the developer donations and im sure many, many more peeps would donate to see these released. They could earn a fortune from them if thats what there after, Otherwise what is the point in this. Android is looking better and better everyday for me, I am not going to buy another apple product and my Iphone 5 cannot use any of these jailbreaks. It doesnt make much money dude. Not much more than your average pre-teen paper boy would make in a year. 50%? Its actually somewhere around 5% mate. Out of that 5% maybe half of them would actually update to the latest version to risk being able to have a stable jailbreak.. And then you would calculate that not even 10% of the people who actually end up using the jailbreak tool would donate money. Span that throughout the year, and the results will be far more disappointing than you would expect. Not to say you CANT make money, but it isnt a crap load. Take George Hotz for example, it took him 2 years, 6 iPhone jailbreaks and a PS3 jailbreak to make enough money to buy a new car.